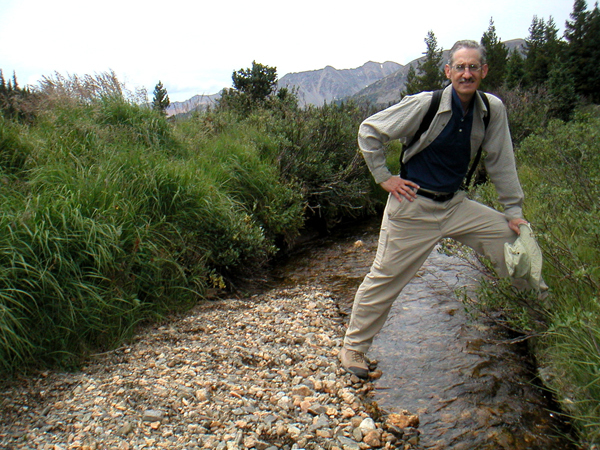 Straddling the beginning of the Colorado River at the summit of La Poudre Pass after hiking the Colorado River Trail through Shipler Park and the site of Lulu City. This was a 15 mile round trip hike! We were ready for the hot tub back at the condo. 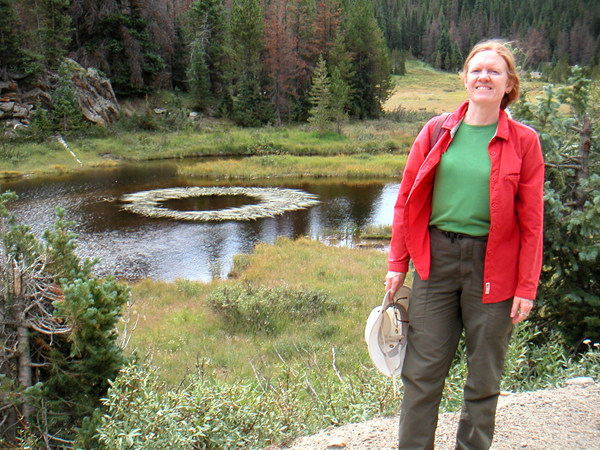 The Colorado River starts mainly as runoff and becomes swamp area near the summit of La Poudre Pass. The Grand ditch catches snow melt from a large portion of the Never Summer Mountains and also feeds into the Colorado River at the summit. 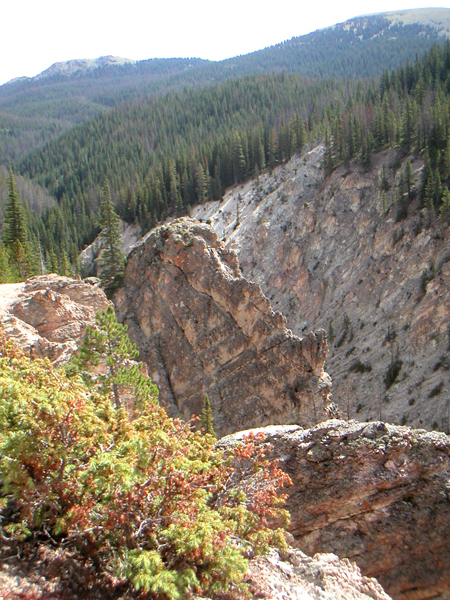 The Little Yellowstone Canyon is on the Colorado River Trail south of the La Poudre Pass.